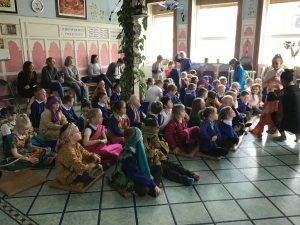 On Monday, Year 3 had the opportunity to visit the Hindu Temple in Newcastle as part of our RE curriculum. 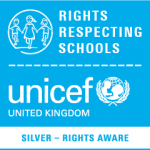 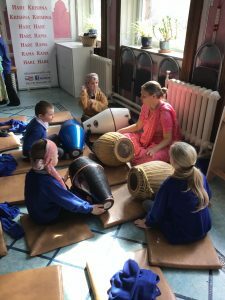 We had an amazing day and our work shop leader Kirtida was very welcoming. 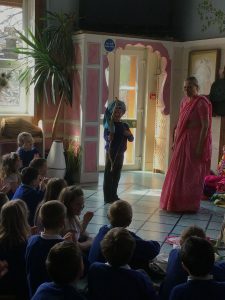 She shared her expertise knowledge about the Hindu religion and sang us a song, which discusses all of the different Hindu Gods. 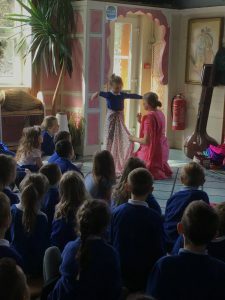 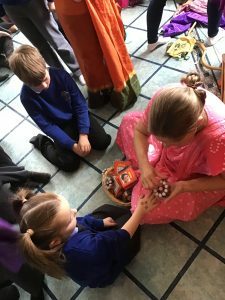 During our visit, we had the change to dress up in traditional Indian clothing, play musical instruments such as the drums and have henna tattoos painted on our hands with bright colours. 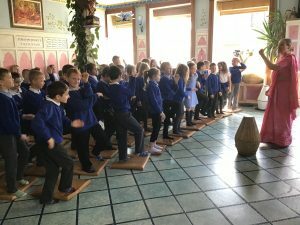 We also had our dinner at the Temple. 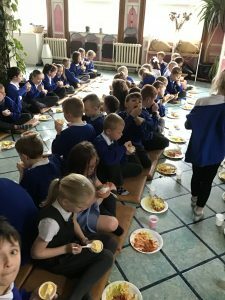 We were served a wonderful tomato and cheese curry alongside some pilau rice and bread. 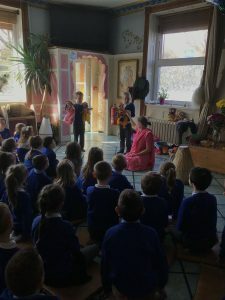 It went down a treat!